Tom Petty was honored as MusiCares Person Of The Year at a star-studded event over the weekend. Among the stars who performed at the event were Stevie Nicks, Foo Fighters, Don Henley, Norah Jones, Jackson Browne, Lucinda Williams, Jeff Lynne, The Lumineers, Elle King, George Harrison's son Dhani Harrison, Bob Dylan's son Jakob Dylan, Regina Spektor, Taj Mahal and many more. The event was emceed by Ed Helms. 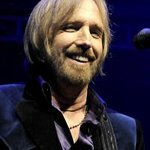 Tom Petty was honored in recognition of his significant creative accomplishments, his career-long interest in defending artists’ rights, and the charitable work he has undertaken throughout his career, which has notably focused on the homeless population in Los Angeles. Widely recognized by a younger generation of musicians as an example of what an engaged artist can accomplish in his field and beyond, Petty has come to represent the lasting possibilities of rock and roll.